This is the first fall that Lefty decided to play baseball instead of another sport. I always encouraged Lefty to play multiple sports because I believe it not only helps to build muscles and agility not used in baseball, but it always can prevent the dreaded baseball burnout. Cal Ripken states, “I have always recommended that a kid play as many sports as he or she can for the overall athletic benefits that can provide. Better athletes generally are better baseball players, so participating in other sports can lead to gains in athleticism that are only going to benefit the kids. I will keep encouraging Lefty to play multiple sports. I believe the best athletes do. John Elway and Dan Marino were not only great quarterbacks but there were good baseball players. John Elway was selected by the Kansas City Royals in the 18th round of the 1979 Major League Baseball Draft. The Royals drafted Dan Marino in the fourth round of the same draft. What do you think? Does your child play other sports? Good Article. 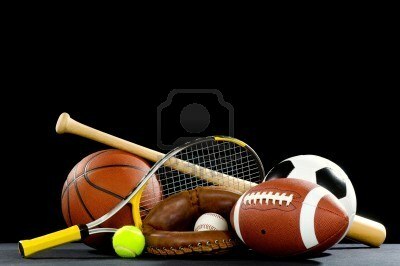 I think playing multiple sports is the way to go. You learn new skills and get used to trying new things and learning new techniques like you wrote. I do not have children yet but at this point I would not encourage my future son to play football. There is just too much info coming out about the impacts on the body and mind long term for that sport. Basketball on the other hand is great for endurance and individual creativity and a good pitcher could become a good shooter. I think it works that way, ha. Other great thing about BBAll is it is incredibly cheap to play. Court is free, just need a ball and some sneakers. So no lost 250 dollar baseball bats. A final comment, I also would encourage skateboarding. As long as lefty learns his limits and does not try to be tony hawk down a rail or giant hill, it is not that dangerous. It encourages competition against ones self and it also teaches one how to fall. Since I grew up skateboarding, if i do fall playing sports i generally know how to catch myself without getting too hurt. Which is a good skill in life. Keep up the good work!